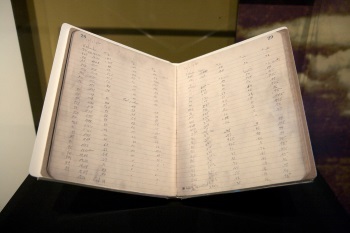 My love of collecting data isn’t limited to work, I’m just as happy doing it at home. From the typical digital keepsakes such as documents and photos to geekier things like detailed utility records and 10 years of fuel consumption info for my car, I’ve got quite the little hoard. *This can be tricky. Some people come in after the session starts, and others will leave before it ends. What I do is take a headcount right before I start. If I get comment cards following the session, I’ll take the greater of my initial headcount or the number of cards I receive. First of all, you’ll have actual numbers for how many presentations you’ve given and how many people you’ve reached. If you submit abstracts for PASS Summit, they ask for this information as part of your speaking experience. It’s also my understanding that the Microsoft MVP program wants similar numbers if you are nominated. Aside from all that, this data helps influence what topics I submit for SQL Saturdays and user groups. If I spoke about indexing in a particular city last year, I’ll be sure to submit other topics this time around. On a more personal level, whenever I’m feeling incompetent or irrelevant, looking back on a list of all the things I’ve done can be an excellent morale booster. So if you’re the least bit involved in the SQL Server community (or volunteering anywhere else, for that matter), I’d recommend keeping track of it. The effort to create and maintain a spreadsheet like this is minimal, and it will never be any easier than it is right now. I like your idea and it would certainly help, thanks for sharing. I hope it does help! Thanks for reading! 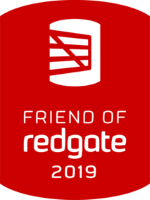 Proud To Be A 2015 Friend of Red Gate! I’m Running for the PASS NomCom!